We found Newshosting to be a complete all-in-one Usenet service in our testing. Their Retention is now 3,820 days and they are one of the few Usenet providers who continue to grow retention daily (and at no added cost to their customers). Newshosting also has one of the most advanced server network designs in the Usenet Industry that features a fully redundant global network which connects several multi-gigabit server farms from all around the US and Europe. This allows Newshosting to offer very fast and very stable speeds without fail to users who connect from pretty much any location globally. Newshosting also offers an nicely designed (and fast!) newsreader for Windows, Mac, and Linux that includes all the tools you need to connect to, search, and access articles from Usenet. From integrated file search, to file previews (which allows you to preview articles on Usenet before you decide to download them) to the auto-search and download feature, their free newsreader really has everything you need. In addition, Newshosting throws in a free Zero-log VPN through a special offer that is available exclusively to Usenet.com visitors. This is a great free tool that gives you an added layer of privacy and security for all of your online browsing, downloading, streaming, and messaging. Easy-to-use Windows, Mac, iOS, and Android VPN apps are included, which should have you covered for all the devices you access the web from. Keep in mind that most VPN services that offer full protection, unlimited monthly usage, and software like Newshosting VPN generally range from $8 – $12 per month, so the fact that Newshosting gives it to you for free (including a free newsreader), really makes it a great deal. 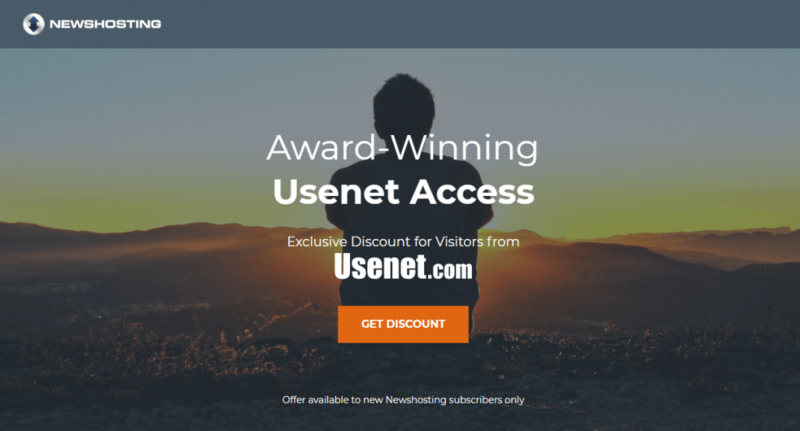 Newshosting offers lifetime discounts for Usenet.com visitors. For only a limited time, you can get their Unlimited plan for either $9.99/mo with a monthly plan or $7.49/mo with their yearly plan (which is $99 per year). This is 33% off and 58% off for the monthly and yearly options, respectively, and the discount will apply for as long as your account is open. If you choose the yearly plan, you will get 58% off the regular price for life (33% if you opt for the monthly plan) and a free Zero-log VPN account (Windows, Mac, iOS, and Android versions available). The VPN is available with the monthly plan for an additional $4.99 per month. 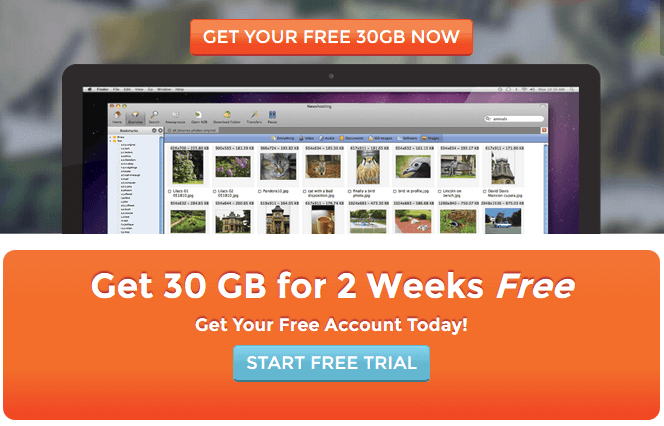 If you're not interested in the lifetime discount, Newshosting offers a Usenet Free Trial to all new customers. The trial period is 14 days or 30 GB whichever comes first for all the plans. Keep in mind, however, that the discount is not available if you opt for the free trial available through their homepage. Newshosting has 3,820 days of binary and text retention. We've continuously tested many different Usenet service providers throughout the years and have not yet found any other providers that offer more retention. Newshosting also regularly maintains and upgrades its server farms to continue growing their retention day by day, and we've noticed they've done this without passing any cost down to their users, which we like. Completion is listed on their site at 99+ % completion. It's hard, if not possible, to quantify the exact completion rate at any given moment in time, but our tests have consistently returned complete article results from their newsgroup servers. Newshosting supports up to 30 simultaneous connections. Each connection is secured with 256-bit SSL encryption for private article transfers. Newshosting also does not throttle, cap, or limit download speeds. Because of this, you will easily maximize your ISP bandwidth when connecting to any of their US or EU server farms. A free Newshosting Newsreader with a built-in search engine is offered at no cost to you. The newsreader is available for Windows, Mac, and Linux operating systems. It includes several useful features such as auto-unpack, Auto-repair, Automatic updates and even file previews so you can make sure you have what you want before downloading it. When you sign up for Newshosting, just log into your account area and you'll see a link to download the newsreader. Once you have it installed, just enter your Newshosting username and password and you can immediately start finding and downloading articles from Usenet. The software is very simple, yet fast and a very powerful. Newshosting is easily one of our top pics for best Usenet provider. It has everything you'd ask for with a Usenet service. Newshosting operates one of the fastest and most reliable Usenet backbones, has newsgroup servers in both the US and Europe, and its Usenet access plans come loaded with features including a free newsreader with full search, preview, and download capabilities, free Zero-log VPN, unlimited downloads, uncapped/unlimited download speeds, free SSL encryption, and up to 30 connections. They also offer among the very best retention available anywhere, and with 99% article completion. If you decide to go with Newshosting, be sure to get the 58% lifetime discount, available exclusively for Usenet.com visitors.